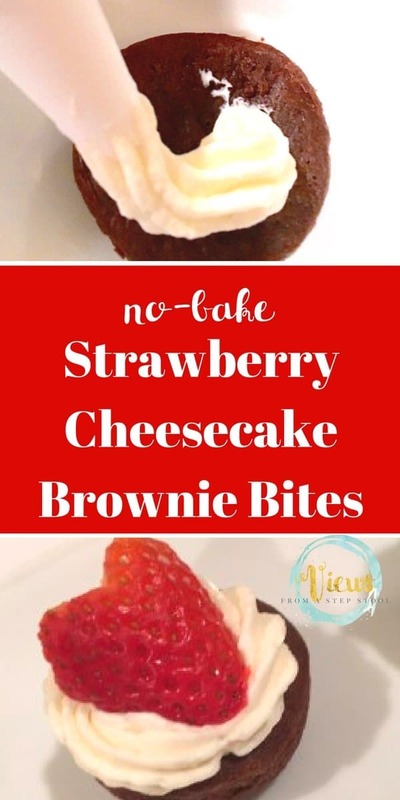 These strawberry cheesecake brownie bites are DELICIOUS and will take you less than 10 minutes to whip them up! They make the perfect last-minute party treat! 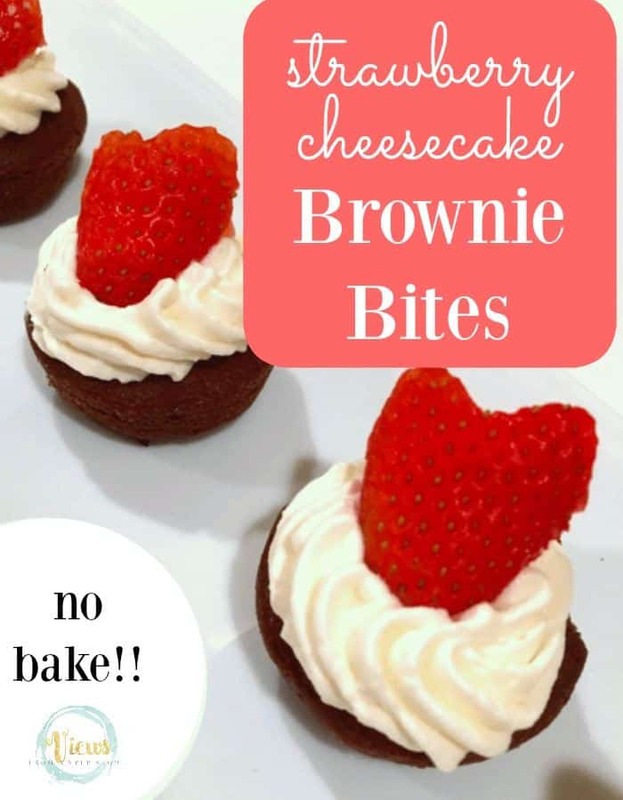 These treats are semi-homemade because we just took the Entenmann’s Little Bites fudge brownies as our base, made some no-bake cheesecake, and topped them with strawberries. How easy right?? Beat the cream cheese, sugar and vanilla in a stand mixer (or with an electric mixer) until all of the ingredients are combined. Combine the cream cheese mixture to the whipped cream. Now all you need to do is assemble your bites! 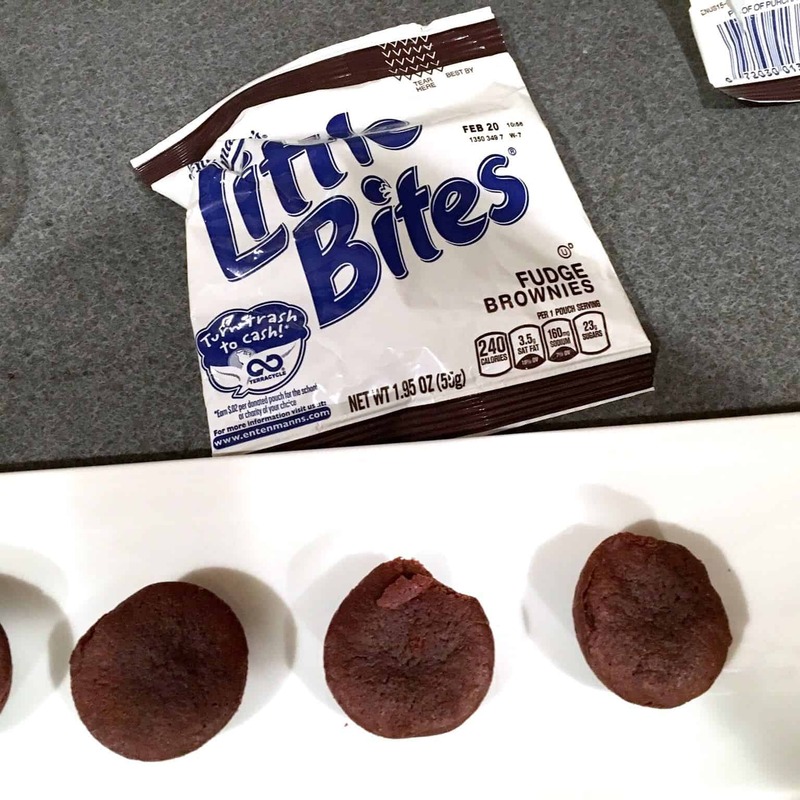 We used the Little Bites fudge brownies as the base of our treats. 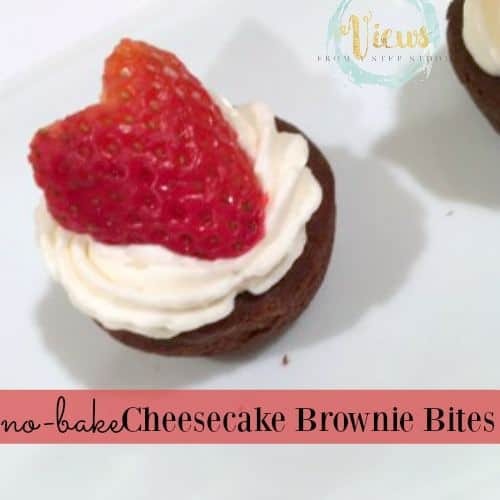 You could make your own brownies from scratch and use a circle cookie cutter for these as well (but this makes is a really quick treat to throw together!) Place the brownies onto a plate. 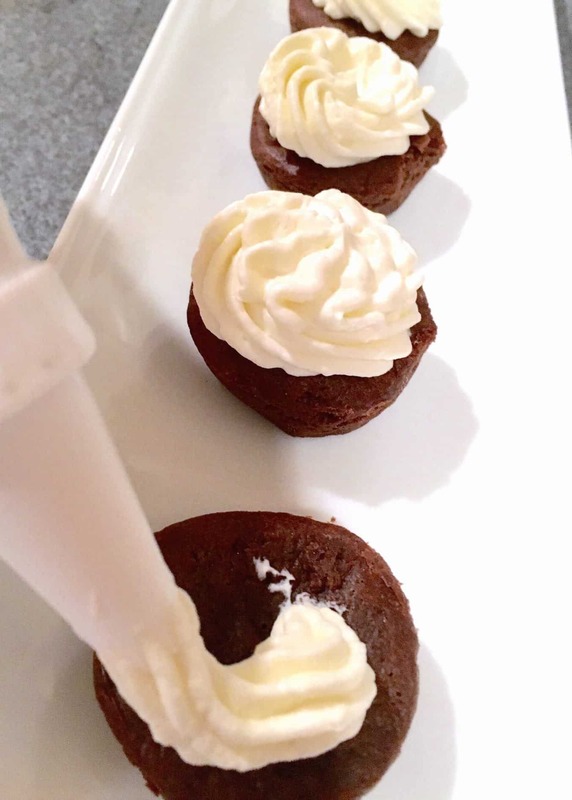 Fill a piping bag with your cheesecake and pipe onto the top of each brownie bite. Make these for your next party, they will be a hit! PLUS – we have two sets of printable Valentine’s Day cards in the Exclusive Content for Subscribers page. Get your password here. This post was sponsored by Entenmann’s. I received product in exchange for mentioning them on my blog. I like their coffee crumb cake and brownie litte bites. Cheese Danish is my favorite. Oh we love the Little Bites Chocolate Chip Muffins! 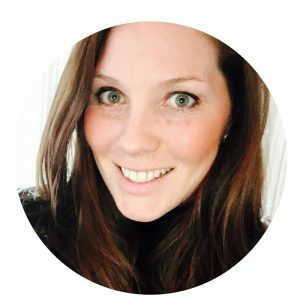 I won the Entemanns Prize pack couple of months ago…. I believe I got boxes of the bites. and what was really nice they also gave $5.00 coupons ( ( forgot how many)and you got to keep the change if the items were less then 5.oo ( I believe this is the same or very similar giveaway. I love their Apple Cider Donuts and the Chocolate Chip Loaf. My kids love the chocolate chip muffin little bites. I love the chocolate doughnuts.